Why get HGAR (Hang Glider Airspace Regulations)? According to CARS (Canadian Air Regulations), in order to fly in Class E Airspace, you must have your HGAR. 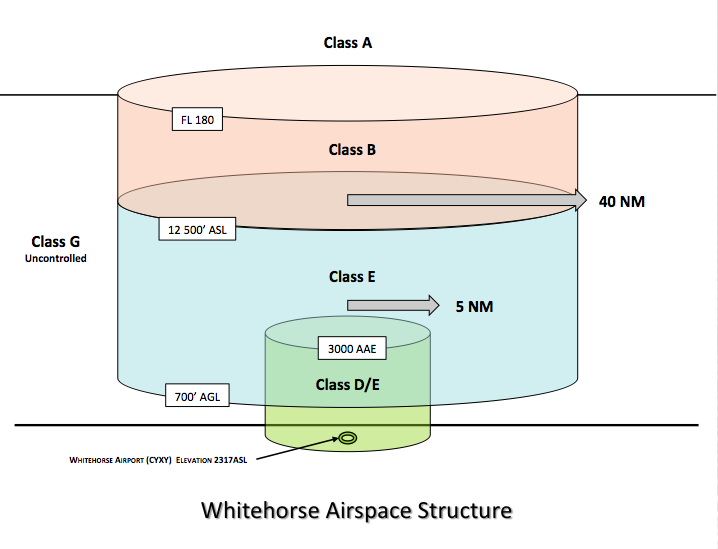 Many flying sites in Whitehorse Area are within or border on Class E. Having an understanding of airspace and having good communication with other pilots and the control tower is imperative to safety and preservation of our flying sites. This exam on Airspace Classification and Regulations will help you be a safer pilot – no matter what level you are. It’s also free to write in Yukon. This exam will help you understand the requirements to enter controlled airspace and control zones prior to launching or when flying cross-country. The materials in the HGAR Study guides are also a substantial part of the HPAC pilot exams. Passing the HGAR exam is required to get your Advanced rating. Many of the questions on all HPAC exams are on Airspace regulations. If you are interested in paragliding, it’s highly recommended that you get your HGAR and participate in a HGAR study course (offered annually with Fly Yukon in collaboration with Ryan Mannen and others). How do I get my HGAR? Call Miriam Holder (867-393-6850) at the Whitehorse Transport Canada Office to book your exam.